Over the last few months we have been hard at work to bring you a new version of BillingServ. Now while we unfortunately missed our first release of BillingServ V2 we have continued to develop BillingServ. We have made a lot of changes from the original V2. There have been a lot of bumps and challenges that cropped up along the way. How we could refine features, do things differently and in some cases better too. 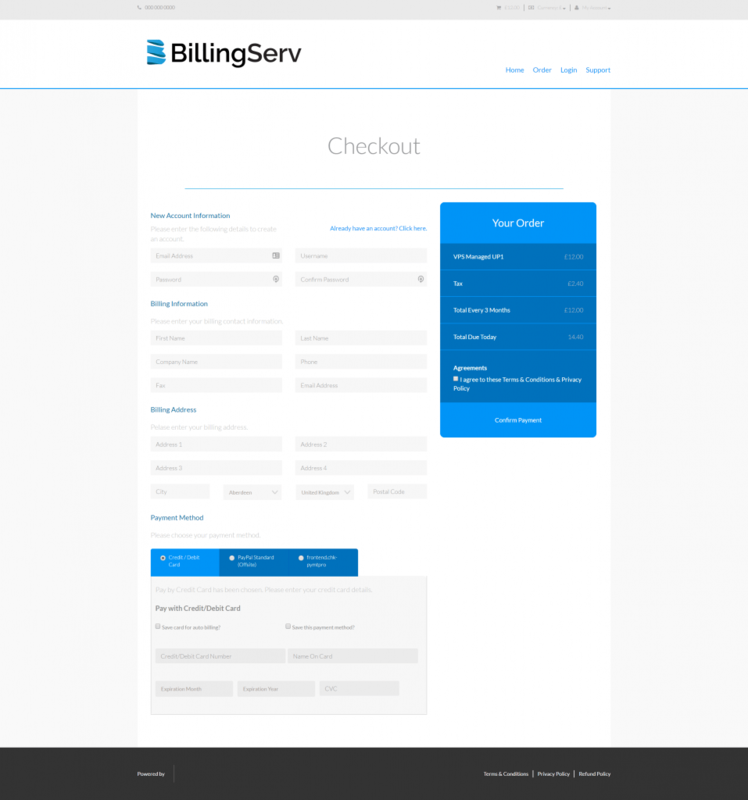 We didn’t want to release BillingServ until it was completed, that wouldn’t be fair to our amazing customers. I’m proud of my team for working hard on getting BillingServ completed for our clients, we have completely rebuilt the network and servers behind BillingServ to give you a greater experience. Faster loading times, more servers for capacity and better security. We identified a few extra areas where we could improve our service to you. As you may have heard last year we recently completed our ISO 27001 certification which allows us to show you we mean business when it comes to your data. We’ve also added into V2.1 the new GDPR compliant client areas. Your clients will be able to login to their account, be able to download all data you hold on them. They will also have the ability to delete their data at any point. We haven’t stopped there either, we have refreshed the whole frontend. We’ve made it possible for you to customise every aspect of the frontend experience so you can make it look like they’ve never left your website. Take a look at the new frontend below. It’s simple, clean and mobile friendly. We’ve also been working with some of our partners to bring improvements to our integrations. New features and updated integrations to improve your business flow. We want to take the hassle away from you so you can focus on what really matters. Your Business! We are now in the final stages of testing, we are ironing out all the bugs that might crop up, making sure all our systems are ready for our V1 customers to migrate to. Once we are completely happy we will be releasing V2.1 to our customers and new customers alike. I can’t wait for you to see and use our brand new platform, it has been 3 years in the making. We aren’t stopping here either. We will be launching our very own Payment Gateway, eCommerce Plugin, Accounting Plugin and much much more. We want to be a truly All in One Platform, so you don’t have to use different logins for different aspects of your business. I just want to finish off by thanking our customers who have stuck with us, while we build the best new invoicing/billing platform we can. It’s been a long old road, but we are nearly at the end now. 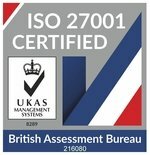 BaseServ Achieves Standard ISO 27001 Certification. We are very proud to announce that our parent company BaseServ Limited has now achieved certification to the internationally recognised standard establishing it as one of the leaders in its field. Over the last few months, we’ve been working hard to obtain our ISO 27001 certification to bring better security and platform enhancements. Thank you for all the team at BillingServ!